Respawn Entertainment might only have Titanfall – and soon enough Titanfall 2 – under their belt, but most of its staff previously worked on Call of Duty 4: Modern Warfare. The biggest names of that lot are Vince Zampella and Jason West, who founded and developed the Call of Duty franchise at Infinity Ward before being dismissed in March, 2010 for a breach of contract. So it’s understandable that they’d have some words of advice for the team heading up the Modern Warfare remaster. Aiming down sights your thing? Check out the best FPS games on PC. Those words, according to a Eurogamer interview with Vince Zampella, were “don’t f**k it up”. “That’s my on the record response. I rang them up and said, honestly, don’t f**k it up. It’s a huge part of people’s gaming memories.” Speaking as someone who holds the memory of crawling under tank in Chernobyl and being blown out of the sky by a nuclear warhead very dear to my heart, here’s hoping they don’t. 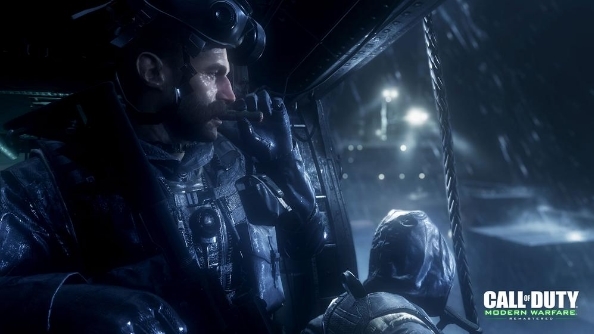 Just how wrong Raven Software – who are taking the reigns while Infinity Ward finish Infinite Warfare – can go with the Modern Warfare remaster is hard to say, seeing as the game is a remaster, not remake. That said, it looks like it’ll be using a different engine than the original, so tread carefully, Raven Software, you have been warned.